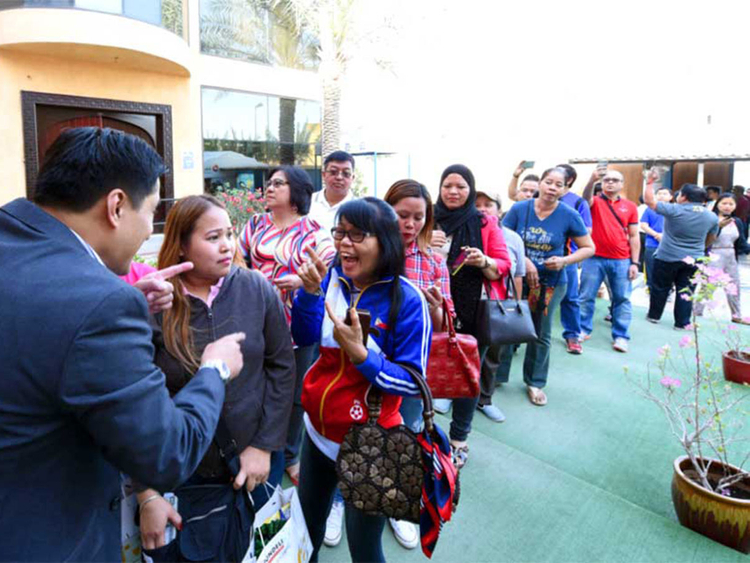 Dubai: Oppositions are mounting against the latest move by the Philippine government that makes it mandatory for expatriate workers to contribute every month to the state-run pension fund. President Rodrigo Duterte signed in February a law requiring expatriates to make a compulsory contribution of 960 pesos (67) to 2,400 pesos (Dh168) a month for their social a security. That’s roughly Dh2,000 a year, and is reportedly set to increase by up to 12 per cent over the next few years, which means workers will have to cough up more money to meet the regular contribution. And, as part of the proposed rules, no overseas employment certificate (OEC), which is a prerequisite for Filipino expats to return abroad for work, will be issued if the monthly premiums are not paid. Commonly known as Social Security System (SSS), the pension fund seeks to provide a nest egg that Filipinos can dip into when they retire. Beneficiaries can also apply for a loan, as well as maternity, disability and death benefits through the scheme. However, since SSS payments used to be optional for overseas workers, only a small proportion of retirees from overseas receive government pension. In the UAE, out of the estimated 600,000 Filipinos, an average of 4,800 workers contribute regularly. According to Arman Hernando, chairperson of Migrante Philippines, the mandatory SSS contribution will be an added financial burden to expatriates. The migrant rights group has recently launched a signature campaign to call for the repeal of the newly signed law. It said that government officials did not conduct a consultation on the enforcement of the mandatory SSS contribution. “This [contribution] will be on top of the $144 mandatory insurance that is also being pushed by the government. OFWs are being totally ripped off,” Hernando added. “Why do they have to make it mandatory? They should just let the OFWs decide how much they can afford to contribute and when they can,” said one expatriate. “That money will just be pilfered. The law should be repealed,” said another. Susan Ople, founder and president of the Blas Ople Policy Center (BOPC), which provides assistance to distressed OFWs, noted that newly hired Filipinos, especially household workers, can’t even afford to pay 960 pesos a month or raise the enrollment amount. As soon as the law takes effect, workers will have to use their own money to pay for the SSS contribution, although the law also mandates that employers will be made to pay a share of the premium. In the recently published draft implementing rules and regulations (IRR) of the law, a section states that a land-based OFW shall shoulder both the employer and the employee contributions. This until such a time that the host country enters into a bilateral labour agreement with the Philippines. The premium for “land-based” workers is P2,400 and for seafarers, the amount due every month is P800. “OFWs will be forced to contribute 2,400 pesos per month in its entirety as long as the host country does not enter into a bilateral agreement that will obligate employers to remit their contributions,” said Hernando. The IRR mandates that SSS, along with the labour and foreign affairs offices (Department of Labour and Employment and Department of Foreign Affairs), should secure bilateral agreements to make it mandatory for foreign employers to pay a portion of the pension contribution.